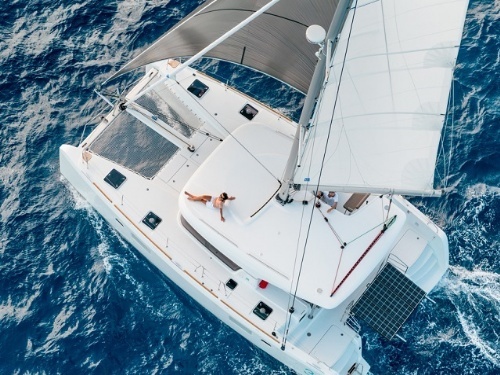 In case you are looking for a private sailing experience with only your friends and family members and you posses valid sailing licenses, then bareboat catamaran charter is the ideal choice for you. 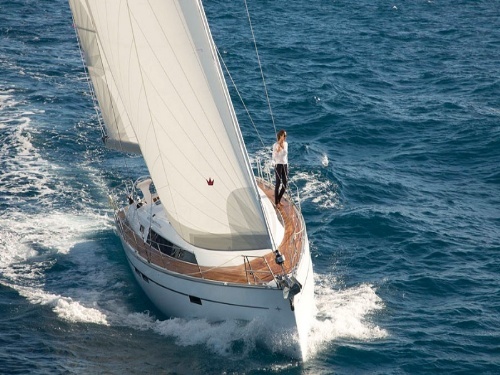 There are both power and sailing catamarans available for bareboat charter in Croatia. Powercats run on motors and don’t have sails. They incorporate the best features of a motor yacht and sailing catamaran. They are rather easy to navigate and have stronger engines so they get you faster to your destination. Their main advantage is that they wonderfully combine comfort, speed and simplicity in navigation. There is no hassle with the sails, no sensation of being closed in, there is no endless rides and waiting for the favorable wind. Sailing catamarans, just like sailing mono-hulls, have weaker engines than the powercats and their main motive is the wind. They require navigation skill, but they are equally comfortable, stabile and spacious. Sailing catamarans are great choice for laid-back, relaxing cruise. They can accommodate a large group of people because they offer lots of space. Though they are not quite simple to navigate, you won’t have much trouble with them even if you have little yachting experience. In addition to stability, commodity and simple access on board, sailing catamarans are more economical than the power boats. When chartering a bareboat catamaran, you depend only on your navigations skills and you choose your own route. You and your crew will have complete privacy on board and you’ll take care of provisioning yourselves. Take a look at the list of our catamarans that range from 36 to 50 ft and differ in number of cabins available for guest (up to max. 12 persons on board) and choose the right one for you and your sailing team!